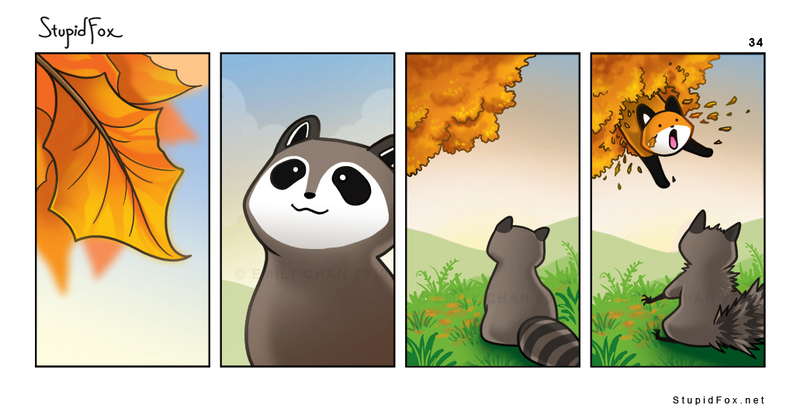 I like the raccoon's tail. StupidFox was hunting squirrels in that tree, a branch broke and down he falls. it's fall! season of fox colors! His face at the end is just like I FEEL SO ALIVE!! why foxy always want to scared raccoon? poor raccoon he was so innocent.